You will know by now that my preferred books combine romance, mystery, and humor. Well, this book has it all, and I was delighted when I found out that it's the first in a loooong series. The unlikely heroine Meg is a very matter-of-fact ironworker by profession. However, her mother prefers to tell her friends that Meg is a potter because that suits better to her notion of what a Southern lady should be like . . . and this is another attraction of the book: Meg's crazy family. 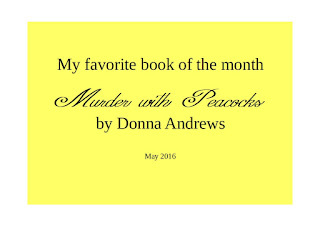 I couldn't help but chuckle when I read this cozy mystery that is all about three different weddings, scheduled during a blistering summer, and all organized by poor Meg. Here's a small excerpt with two funny little sentences that I just love because they show Meg's character in such a great way. Of course, being friendly and hospitable to Michael was going to get a lot easier once I mastered the tendency to drool every time I saw him. I stumbled downstairs (…) and found him sitting in our kitchen. (… I) responded to Micheal's heart-stopping smile with as friendly a nod as I could manage before noon. I joined them and listened to Mother chatter about chintz for a while as I sipped my coffee and waited for it to take effect. „Meg!“ Mother said sharply. I started, spilling some of my coffee. Apparently, I'd nodded off while sitting upright. I hope you'll enjoy it as much as I did (and do, every time I re-read it!). 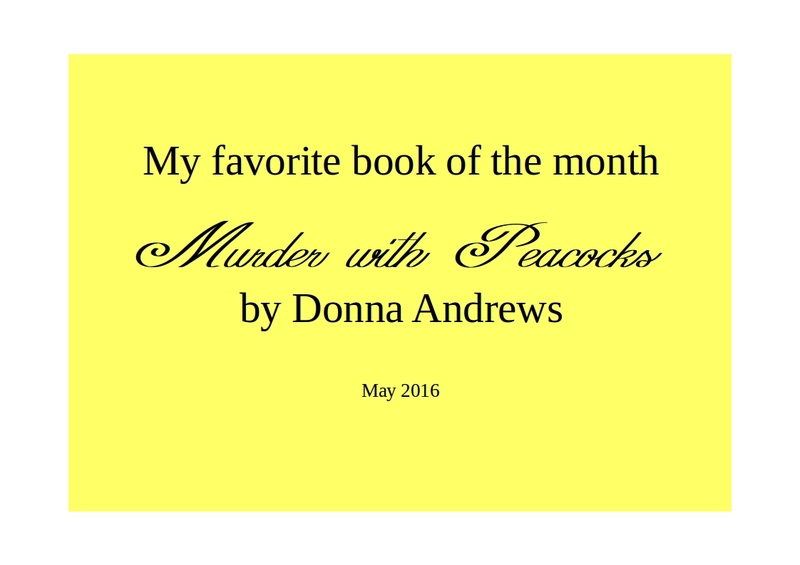 Let me know if you've heard of Donna Andrews and the Meg Langslow mystery series before!